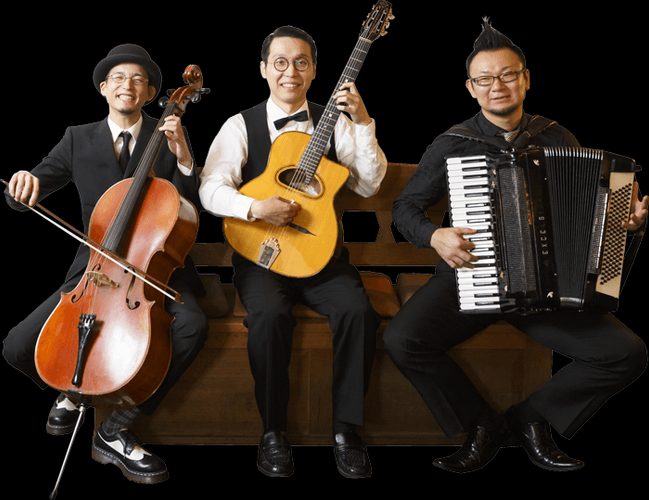 Hailing from Kyoto, a city known for its traditionalism, Zahatorte are a genre-defying trio that blend old-world European café sounds with the undeniably Japanese penchant for perfectionism. Mirroring the unwavering dedication of local artisans that have made Kyoto such an important cultural hub, the band have spent the past 15 years mastering their craft. Since their inception, they’ve played over 100 shows each year without fail. With over 1,400 shows under their belt, festival slots at Summer Sonic (Japan), and Le Grand Soufflet Festival (France) it’s time for the group to bring their brand of bossa-nova inspired, gyspy-swing tinged, classical mastery to Australia. They’ll be in Australia this February for a string of intimate shows across the country including an appearance at MONA in Tasmania.